One of the greatest challenges leaders face is not having enough time to get everything done. A major cause of that issue is the misallocation of a leader’s time in how they interact with the members of their teams. 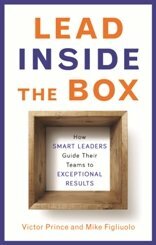 The Leadership Matrix helps leaders solve this age-old dilemma. During the session, you will have in-depth discussions about each of these performance patterns. We’ll discuss how to recognize the pattern, identify their development needs, and execute a leadership plan targeted to their individual requirements. 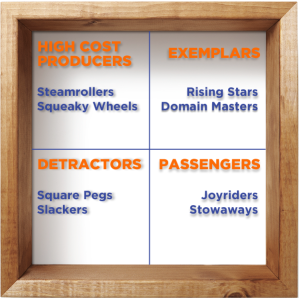 You’ll also create your own Leadership Matrix on your team which you can apply as soon as you leave the room. The target audience for this course is anyone in a leadership role no matter how large or small. Participants must be willing to evaluate their team’s (and their own) performance objectively and commit to a plan to change how they allocate their leadership capital to drive better results. Please contact us to arrange for this course to be trained at your organization or to have Mike Figliuolo or Victor Prince come deliver a keynote presentation on the topic at your event.